Fully automatic X-ray robot systems from YXLON help to make objective inspection decisions and can be integrated easily into the production process. The industrial robots ensure fast cycle times and exact positioning of inspection parts. Fully automatic X-ray systems with robots are an integrated part of the production processes as standard inspection equipment. Modern foundries produce in 3-shift operation, 7 days a week. The X-ray systems Y.MU56 and Y.MU59 are optimized for the inspection of pistons and were developed to keep up with those kinds of production capacities. There are wide varieties of anomalies inside cast parts. Some parts are safety relevant and have to comply with strict quality specifications. 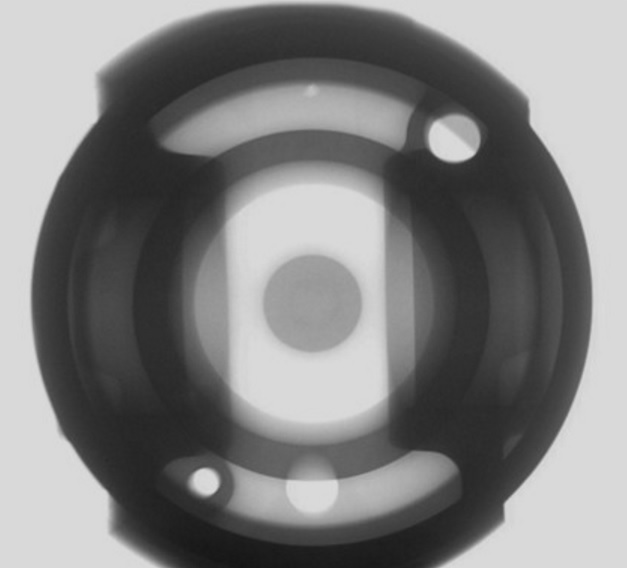 YXLON X-ray technology makes it possible to detect even smallest defects in inner structures. The early integration into the production process leads to cost and time optimization since parts with unacceptable defects can be sorted out immediately. Y.PXV5000 software is a core element of these YXLON X-ray systems and ensures fully automatic control and image analysis during inline X-ray inspection. Inspection decisions, on the basis of defined criteria, will be made clear-cut and reproducible.